Perfect for your conference room or boardroom! This dry erase cabinet comes in your choice of two finishes, Oak or Mahogany. 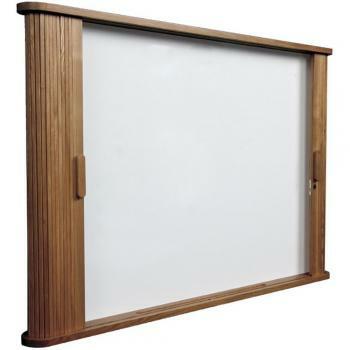 The tambour doors slide behind the magnetic dry erase board when in use, and can lock when the cabinet doors are closed. 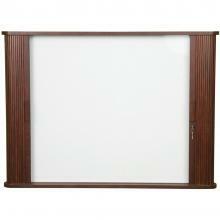 This dry erase cabinet is an elegant solution for any professional meeting room or board room!